Evangelicals have a natural and somewhat aversion to liturgy. Our concern for genuine conversion and high view of the work of the Spirit make us nervous of rote worship in which we confess what we do not believe and pray what is not "in the Spirit." Yet liturgy has a strong biblical precedent: Consider the Psalms in which a phrase such as "his love endures forever" is repeated. Consider similarities between the prayers of Daniel ((9:4) and Nehemiah (1:5) that suggest a common form was used. Consider the worship of the synagogue in Jesus' day, and the known "trustwothy sayings" and "hymns" of Paul. Liturgy it seems was an accepted aid, and a number of reasons can be thought of as to why: (1) It enables the congregation to respond in the service, rather than just listen. (2) It aids certain ideas to take deeper root by regular use. (3) It gives opportunity for reflection on what is said rather than missing the moment after it has passed. (4) It provides a familiar structure in which the worshipper is able to relax sufficiently to focus on what is going on. (5) It ensures what is said is carefully thought through and particularly that the gospel is actually communicated. (6) It displays the flow of the service to those taking part. (7) It ensures by preparation that what being said by the leader is thoroughly scriptural (as often in freer services it is not). I am sure more reasons could be given. Suffice is to say we should not be overly hasty to totally eradicate liturgy (not least for the Reformed, because it is part of our heritage). In particular, during a postmodern age in which words are cheap, caution and the bringing home of what is said is key. Moreover, as more and morre enter our churches with no idea what is going on, a structure can help them from feeling to lost at sea. By contrast, the everchanging services some experience in free church can seem dynamic, but are rather inaccessible to those not initiated into its words and ways. This is not to condone rote repetition or dry formalism (although both can be found in non-liturgical churches too). It is up to the leader and congregation to consider ways to protect against such things. In particular, space for spontaneous prayers, testimonies, encouragements and songs can quite easily be fitted into a general liturgical structure. This fits well the all-involved services of the early church (1 Corinathians 14:26-18). In line with this, I am not by any means suggesting absolute similarity of service each week. Here we should note that postmoderns have been raised to value variety, and variety itself can make us think twice about what we say because we weren't expecting it. We must also recognise that theologically wordy liturgy is extremely inaccessible to those not understanding our terms (and many who have said them for years don't). What then might a service look like? Before looking at the detail we should note that the overall structure itself is liturgical following the reformed and scripture progression: Reflection on God-conviction of sin-repentance-joy at forgiveness-praise and committment in gratitude. Within this is a basic structure of Preparing for God's Word-Hearing God's Word-respondnig to God's Word. Spontaneous prayers could be made by the leader or by invitation from the congregation at almost any point as "feels right" in the moment. But some particularly opportune times are noted below. (1) A call to worship: A few verses chosen for that Sunday and read from one of the many psalms that act in this way, perhaps typed out for use in responsive form. (2) A prayer of invocation: This is ideally spontaneous, giving a sense of imminent expectation in asking the Lord to meet with his people in and through his word, and move them in their praise, prayer and service. (3) A hymn/song (or more) of adoration affirming the majesty and holiness of God. (4) A call to repentance: This could be a set or spontaneous, involving an appropriate verse from scripture. (5) Confession of sin: This could vary on occasion, but regular use of one or two helps people to truly engage with the seriousness of the words and the move from repentance to asking God for help to change. Where the sermon directly demands repentance a specific confession could be written to reflect that. (6) Assurance of forgiveness: Again, using a set amount of declarations helps people get to know them. Each should ideally be based on one of the many promises of forgiveness the Lord gives in scripture. (7) A hymn/song (or more) of praise and thanks for the gospel or of preparation to hear God's word. If the latter, this could come after two readings and just before the reading preceeding the sermon. This ensures people are fresh and attentive for the reading and sermon. (8) Readings: A psalm (often neglected today) could be read aloud with leader and congregation alternating verses. This would then be followed by an OT and then a NT reading. The psalms could be worked through consecutatively, and the passage not preached on could either provide background to the passage that is, or could be arranged as a simple reading through of an unrelated Bible book over a number of weeks. (9) Sermon: This is best straight after the reading be spoken about so that it is fresh to mind. It should be introduced and finished by an appropriate prayer of illumination and application respectively that picks up the Bible truths of the sermon. (10) A hymn/song (or more) that applies the passage in terms of knowledge, repentance, committment etc. This is a great time to let the praise etc build if you have time. (11) Creed: Again, to get to know these regular use of a few is best as a norm. But on occasion one could be crafted from the Bible passage to reflect what has been learnt. (12) Prayers: They could include set or prepared prayers, spontaneous prayers, or spontaneous prayers according to a set or prepared structure. Some refain such as "Lord in your mercy, hear our prayer" works well because it keeps the congregation with things. They must be warned about the refrain however. (13) Lord's Prayer: This is key if people are to get to know it and learn how to say it in a way that prays the phrases as it is said. 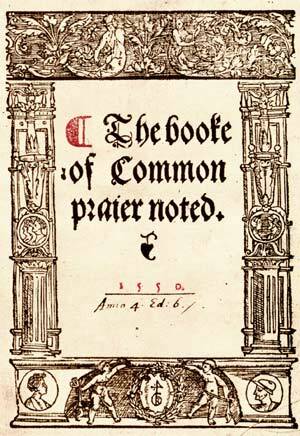 (If a set prayer for the day (collect) is to be said, it works well to do it before the Lord's prayer as it the set prayers then come together). (15) A final prayer of praise (doxology) or blessing (benediction): This would ideally pick up the scriptural truths and language of the passage preached on and so remind people of what they've learnt as they leave. This needs to be profound and succinct, so is best set or prepared. Ideally use a doxology or benediction from scripture.